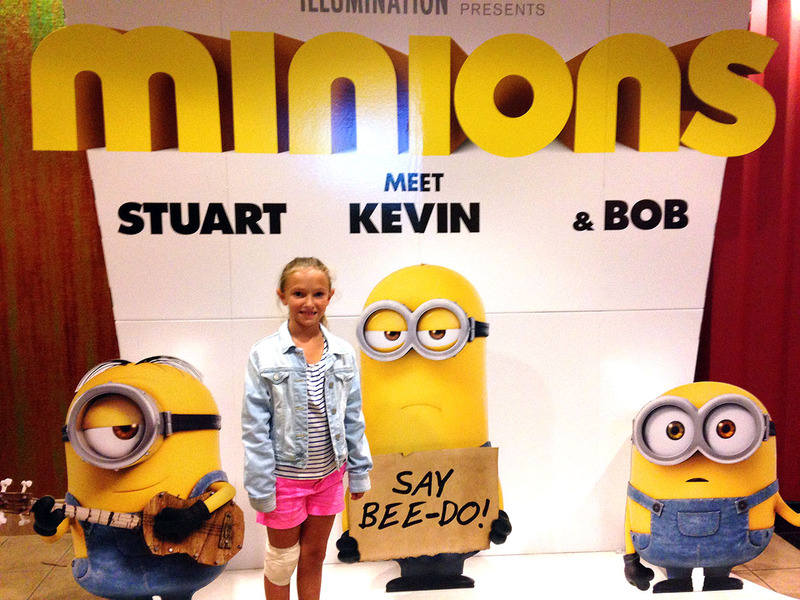 Those little creatures, the MINIONS, are riding a tidal wave of popularity this summer. They have their own movie, the featured toy in Happy Meals at McDonald’s, a spot on the Chiquita banana stickers, and many toys to promote themselves. We saw the movie a few weeks ago, and I fell in love with these animated characters. They may very well replace my Frozen obsession! 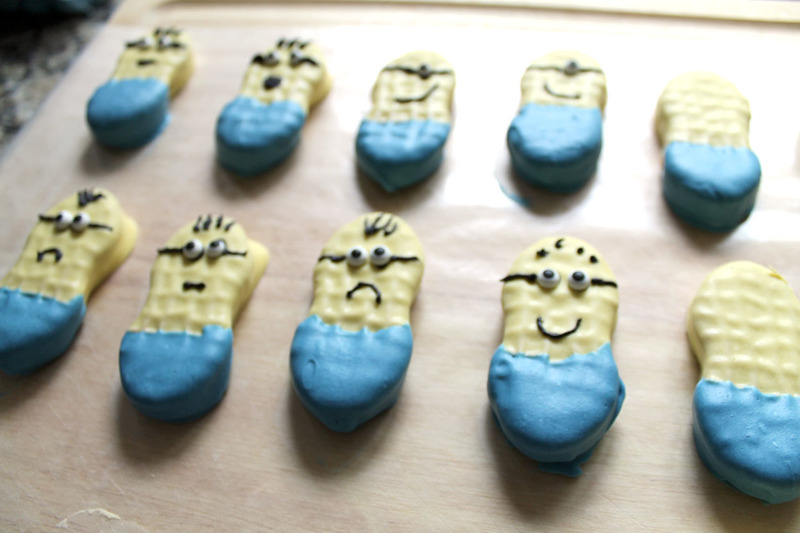 If you are loving the minions as much as we are, these cookies are a must do! Melt the yellow chocolate and dip the nutter butter cookie into it, covering about 2/3 of the cookie. 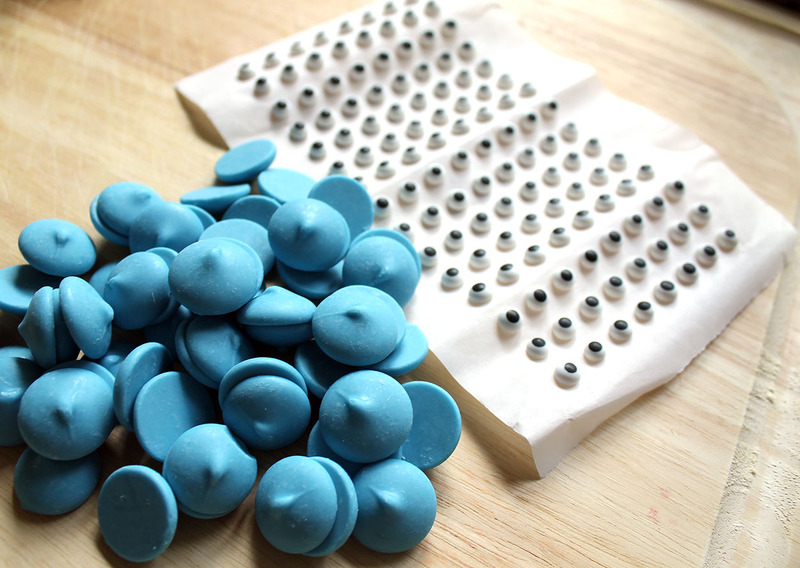 Place on the wax paper until the chocolate hardens. 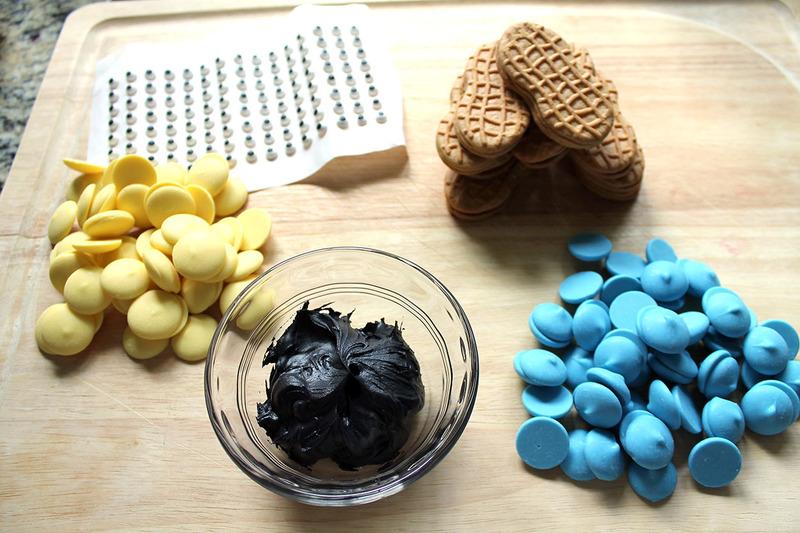 Then melt the blue chocolate and dip the other end of the nutter butter cookie into it, covering the remaining 1/3 of the cookie. Place back on the wax paper until it hardens. 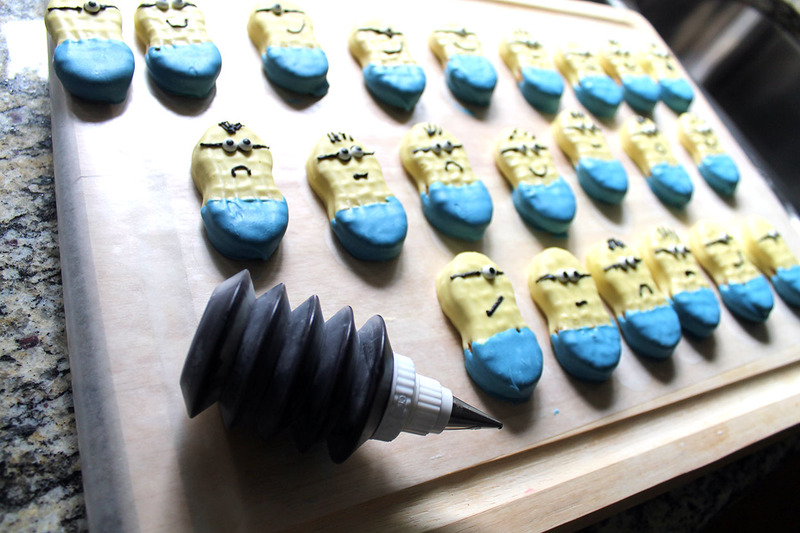 Using the black frosting, attach the eyes…or eye, depending on which minion you are creating. I just put a dab of the frosting under each eye. Then I used the black frosting to create the rest of the face. So fun to make! 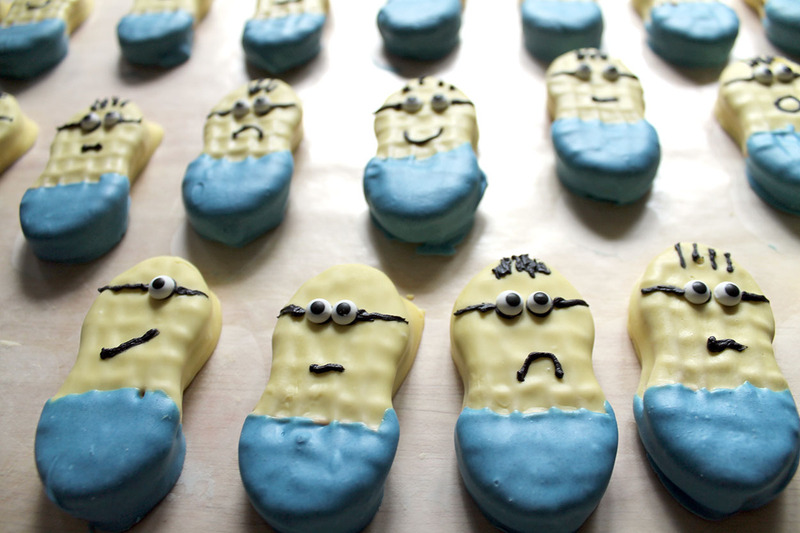 Hope you are able to create some of these for the minion lovers in your house! I love this! So cute, and I bet the cookies taste good too! Well, who doesn’t love peanut butter?!? So cute! I bet Milano cookies would taste yummy too! There’s a great idea…must buy some Milanos for next time. And so fun and simple to create! 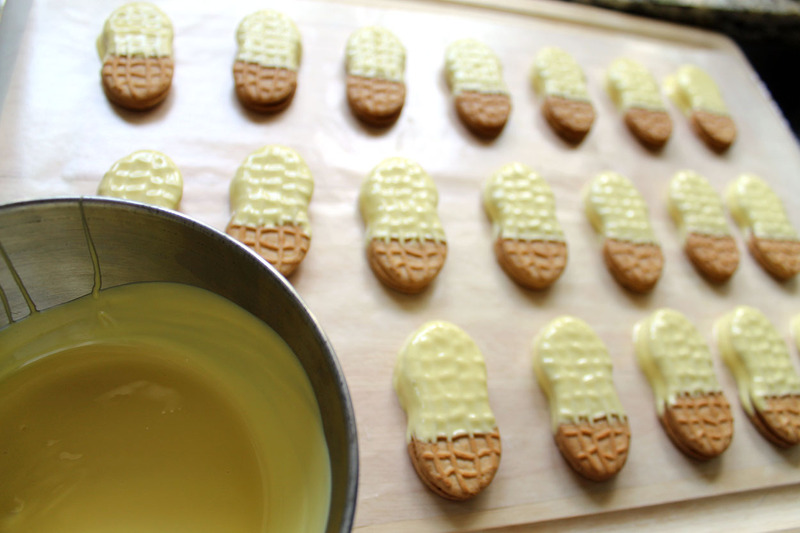 This is the cutest and easiest edible party accent I have ever come across! But Beth, I have no idea where you found yellow and blue chocolate. 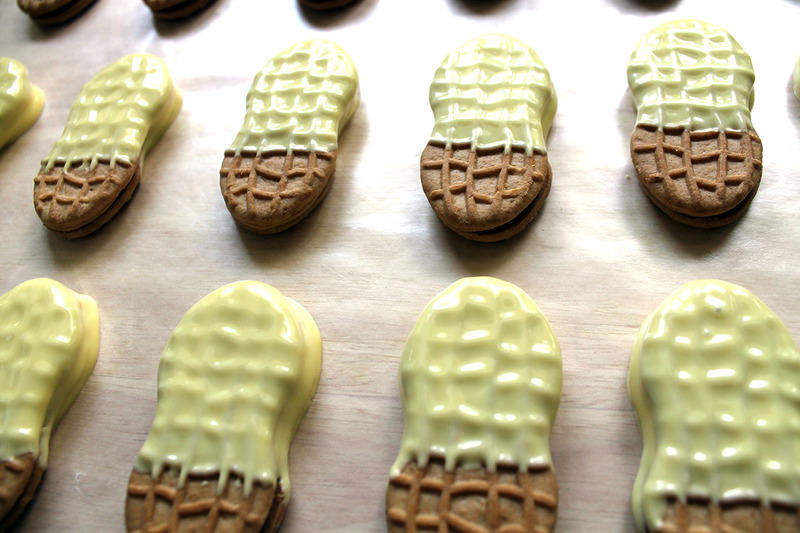 Have you tried dying white chocolate or a white/milk chocolate mixture once it’s melted? I don’t know how easily chocolate dyes, but I was hoping I might be able to use food coloring and melted, light-colored chocolate to mix up a similar result. 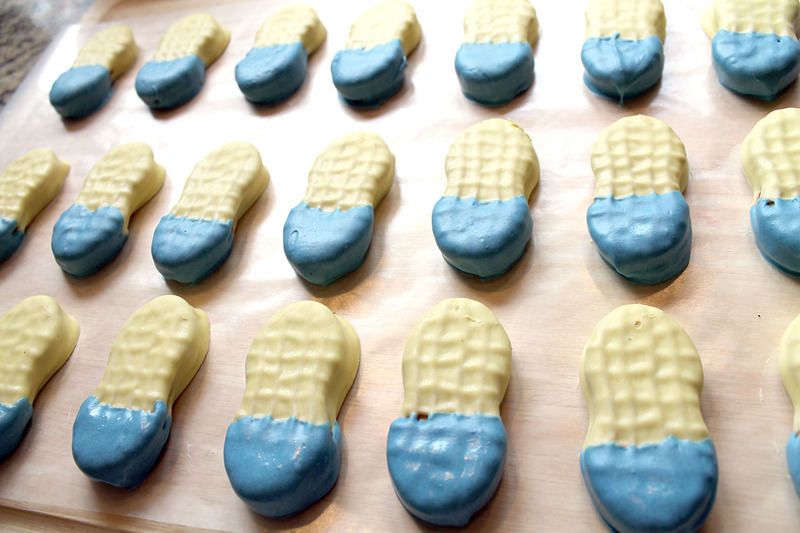 I purchase the colored chocolate melts at our local bakery supply shop, but I have also seen them at some of the chain craft stores (Michael’s and Hobby Lobby). And yes, using dyes and/or food coloring works. 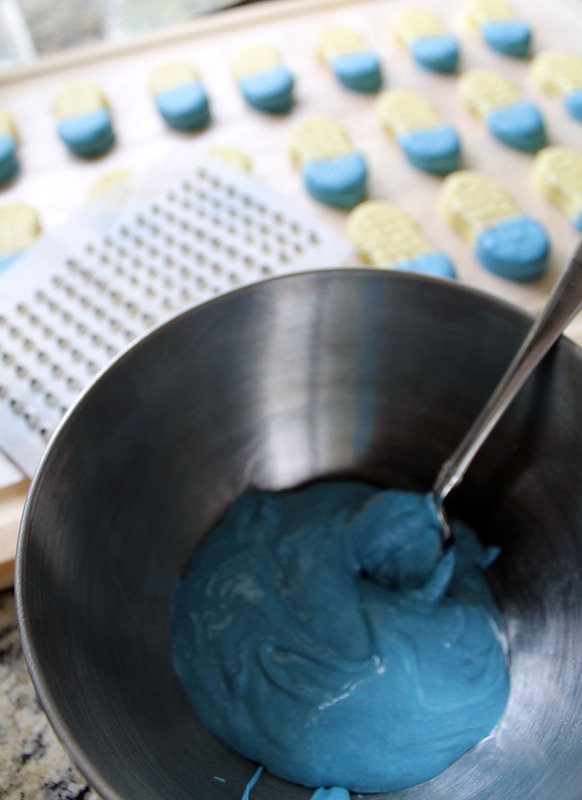 In fact, I added some blue food coloring to the blue chocolate melts to make it a little darker. Good luck and happy creating!